Announcement Lolabitty Tree Tchotchke, are hand sculpted, molded and cast in a paper pulp composition. Each piece is meticulously painted and detailed with festive glitter, creating one of a kind ornaments. 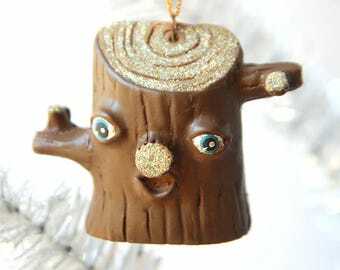 Lolabitty Tree Tchotchke, are hand sculpted, molded and cast in a paper pulp composition. 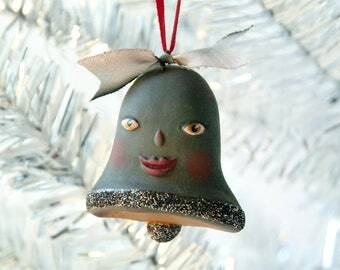 Each piece is meticulously painted and detailed with festive glitter, creating one of a kind ornaments. Unique and wonderful ornaments! This is my second time purchasing and I couldn't be happier with these little gems! Fantastic packaging and very quick to ship. I'll be back to buy more. I am an artist based out of Los Angeles. I have worked for years as both a set decorator and prop & puppet maker for stop motion work. I love to create worlds that people can get lost in, and what better place then inside a twinkling tree.